Baiting Up for The Bite. We've all been there before. You arrive at your local Stillwater and see plenty of fish moving, tackle up, and try to cast your fly to every rise you see. In the back of your mind you are thinking "there's plenty of fish - I'm bound to catch one." However, what transpires is the opposite of what was expected: the rises stop, the fish go quite, or they start moving and feeding on the opposite bank. Worse still, they move out to an area mid-channel that can't be reached with a long cast with your fly rod. Contrary to what some believe, fishing small Stillwaters is not always like 'shooting fish in a barrel.' Fish become wise to the turmoil created on the surface, whether that's from your casting or from playing and landing fish. On the bigger waters, it's all about finding the fish; on small stillwaters the fish are right in front of you so it's about finding the right approach. What makes the challenge even more exciting is the prospect that you will stumble upon a tactic which everyone else fails to figure out. The majority of fly anglers will opt for a floating fly line, a lure, and varying rates of retrieve depending on the conditions. The more thoughtful fly angler will try and tempt the fish with nymphs fished slowly on a figure of eight. But no matter how hard you try, the floating line can be the problem. Once it hits the surface, it doesn't take long for the fish to get spooked - who says small stillwater trout are stupid? 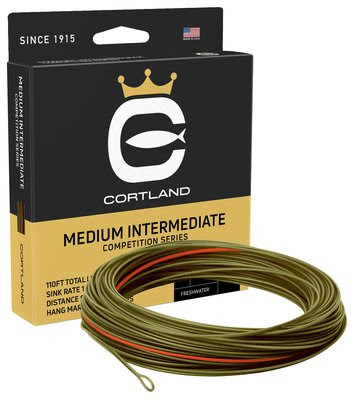 To solve the problem, an intermediate fly line will negate the effects of the floating line (especially in calm water), decrease the splashing, and will present the flies with greater stealth. A sunken intermediate does not create a wake when you retrieve, and it will increase your chances of catching. 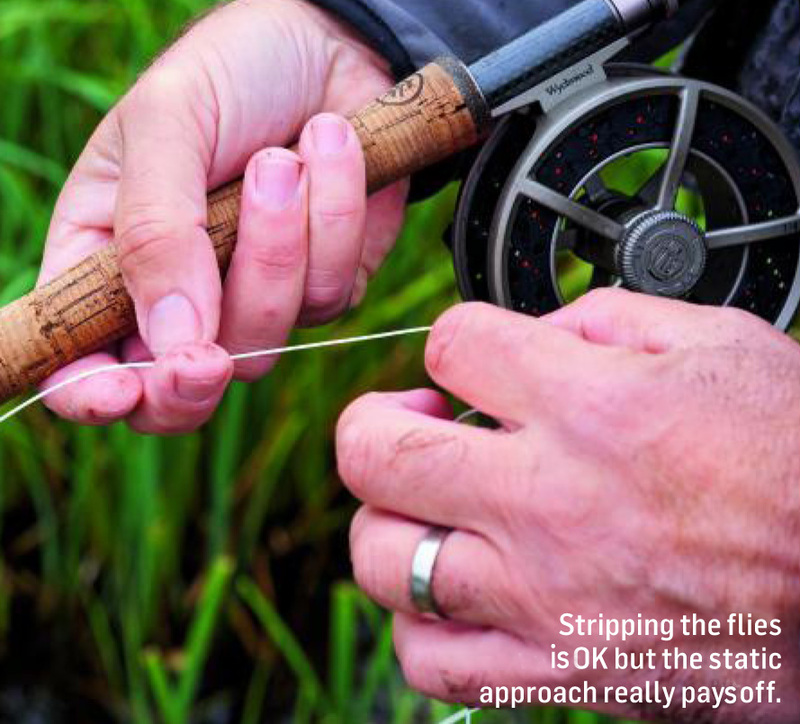 In terms of tactics, when facing wary trout on a small stillwaters, going small and natural can be a deadly approach. However, not all fly anglers have the confidence to go smaller - especially if they are used to stripping lures the majority of the time. But it is worth persevering because wary trout are more likely to take a fly presented at the right depth, colour, size, and at the right speed. 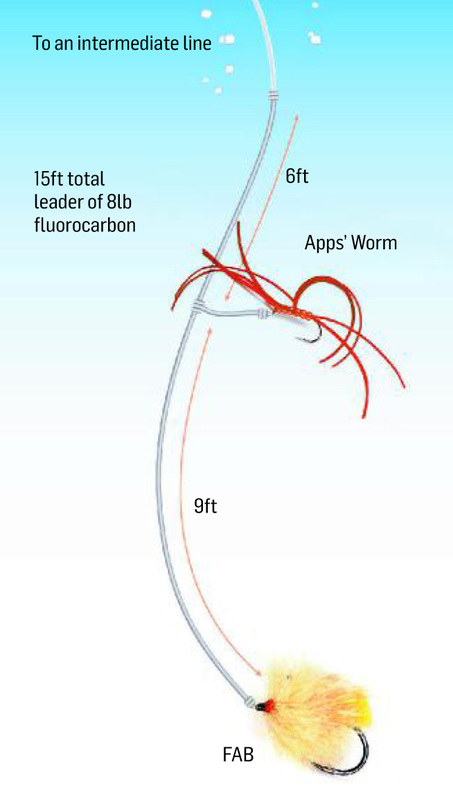 An excellent rig to consider when fishing an intermediate is to use a FAB on the point and an Apps Bloodworm about 8ft away on the dropper. The FAB keeps the flies up near the surface, so you can experiment with different patterns on the dropper. On milder winter days, you can still get a hatch of buzzers so don't overlook this period. Remain vigilant and observe the way the fish are rising. Try a suspender buzzer on the point and a Diawl Bach or Cruncher on the dropper, cast out and give the line about 4 to 5 seconds to sink. 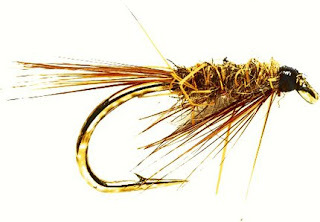 This lets the suspender buzzer sit just below the surface and the dropper fishing a couple of feet below. This covers any fish moving in the top couple of feet. 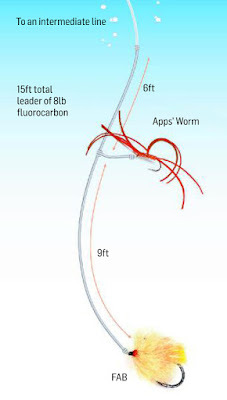 If you give the line intermittent pulls during the figure of eight, this will create movement in the flies and can trigger a response. 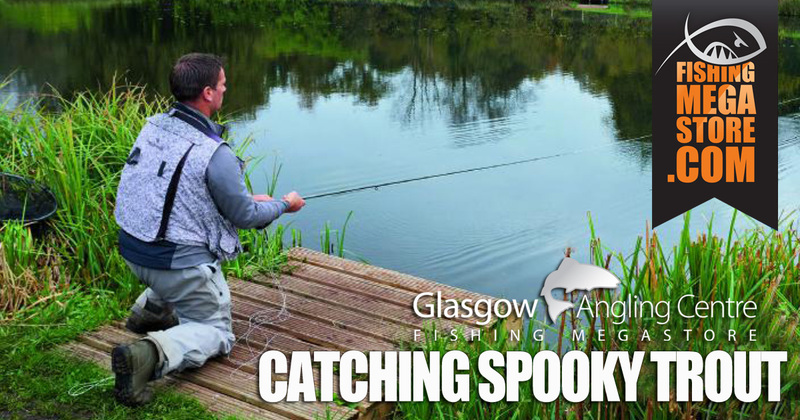 When fishing the intermediate, keep the rod tip down close to the surface and remain in contact with the line. Takes can be sudden and aggressive with the line shooting out away from you. When you do get a take, and you are in contact with the line, you just need to lift the rod up firmly to hook the fish. Conversely, if you have slack line, you might miss takes when striking. It's also a good idea to remain on the move so that you are covering new water and hopefully any unwise trout. Be thoughtful in your approach, and tactical in your fly placement. 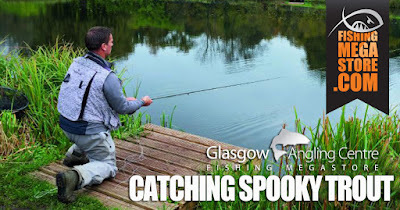 Don't go aiming for the mid-channel until you have covered the area right in front of you because a lot of the time when fishing a new area, the fish are undisturbed and are more likely to have a sniff at your fly if you've presented it gently. Therefore, never underestimate the challenge that small stillwater fisheries can present. Yes, the stocking policy may be aligned with creating the highest possible chance of catching a fish or two, but fish can adapt to their environment very quickly. It doesn't take them long to notice 'anomalies' or to sense danger, which consequently makes fishing for them much more challenging. Additionally, smaller stillwaters can have more fishing pressure as the number of anglers on the bank increase, but don't let that put you off. You just might figure out how to catch them despite your contemporaries' lack of success. The secret is to think outside the box. It makes no sense to copy what everyone else is doing if they are not catching! If you are a reservoir angler or a die-hard brown trout angler who fishes rivers and lochs during the season, support your local Stillwater this winter. They can be tougher than you think and can provide you with equal amounts of satisfaction and challenge that we all crave.